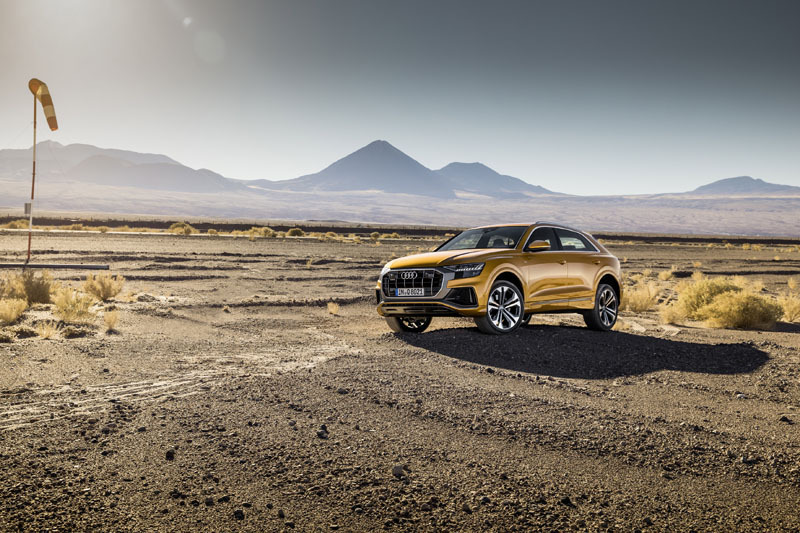 Audi is upping its SUV game with two new models slated to be put on sale in the next 18 months, the Audi E-Tron and the 2019 Audi Q8. The latter is aimed at the SUV coupe segment where design and performance outrank versatility. Here’s what you want to know about it in a nutshell. Both the BMW X6 and Mercedes-Benz GLE Coupe have been around for a while, and their interiors, overall refinement level and available features will reflect that. The Q8 on the other hand is brand new, has a very stylist and contemporary design, and it’s interior is strikingly beautiful and very, very tech-focused with two digital screens controlling the main functions. What all this means is that when it comes to buying a luxury SUV Coupe, only the Q8 will give you the feeling that you’re getting the latest of everything. On the other hand, we can expect redesigned X6 and GLE Coupe models sometime in 2019. Power comes from a turbocharged 3.0-liter V6 with 335 horsepower and 369 pound-feet of torque. This is paired with an 8-speed automatic gearbox. That’s enough power to get you 100 km/h in about 6.0 seconds. No other engines are announced at the moment for the 2019 Q8. 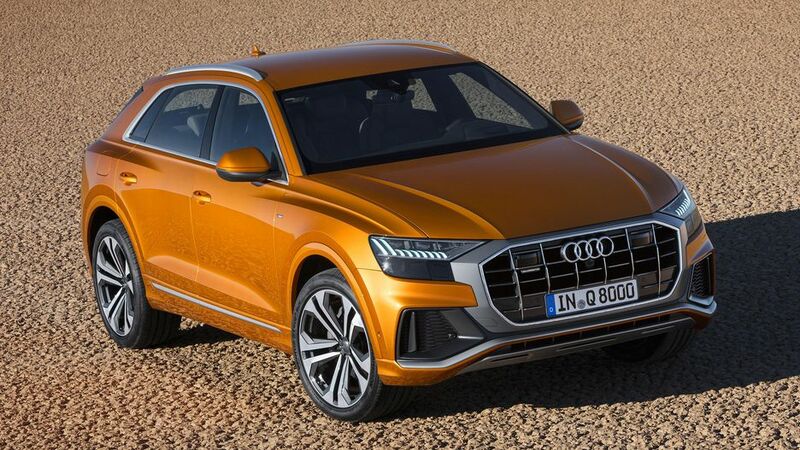 A little over 600 liters of cargo space with all seats in place, and over 1,700 liters of cargo space with the rear seats down is what you can expect from the 2019 Audi Q8’s trunk. Obviously, that’s quite a bit less than the Q7 on which it’s based. The wheelbase is the same, however. 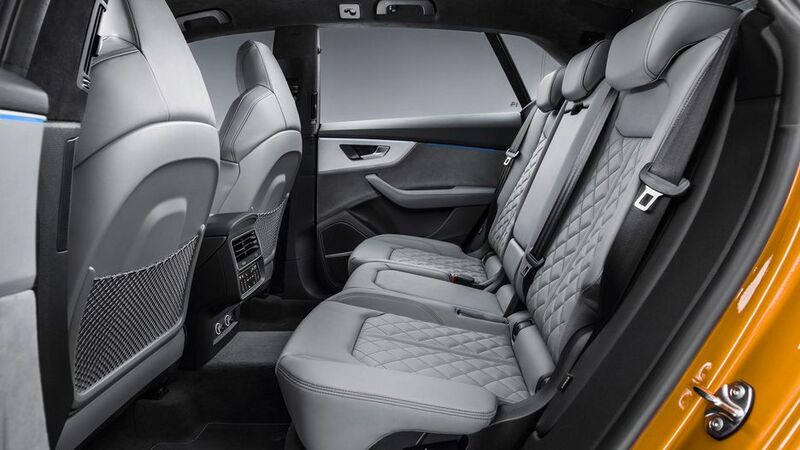 Only five seats can be found inside while the Q7 gets seven. There’s definitely a price to pay versatility-wise when opting for the more dynamic look of the Q8. 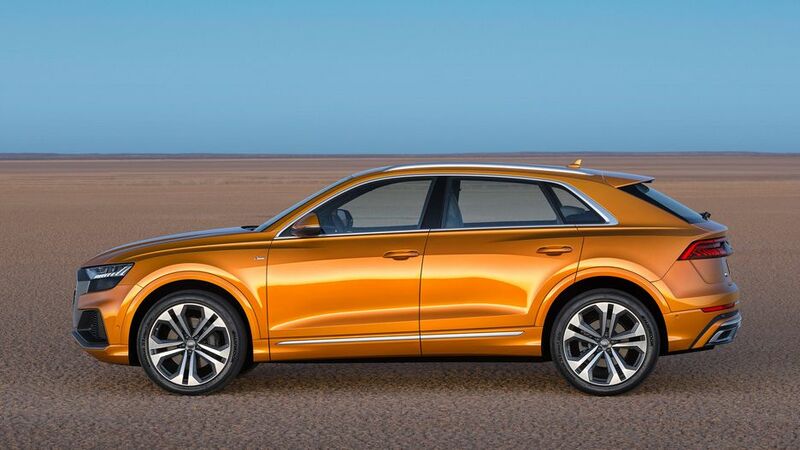 The Q8’s starting price is set at $81,200 which is considerably more than the Q7’s starting price of $64,400. Again, there’s a price to pay when going for a more noticeable design. 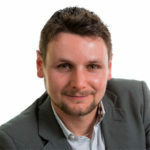 First units should be delivered before the end of the year. You can currently reserve your Q8 by giving a $1,000 deposit. The Q8 is really in a league of its own right now given that the BMW X6 and Mercedes-Benz GLE Coupe are both over 4 years old. We love the look of the Q8, especially inside. 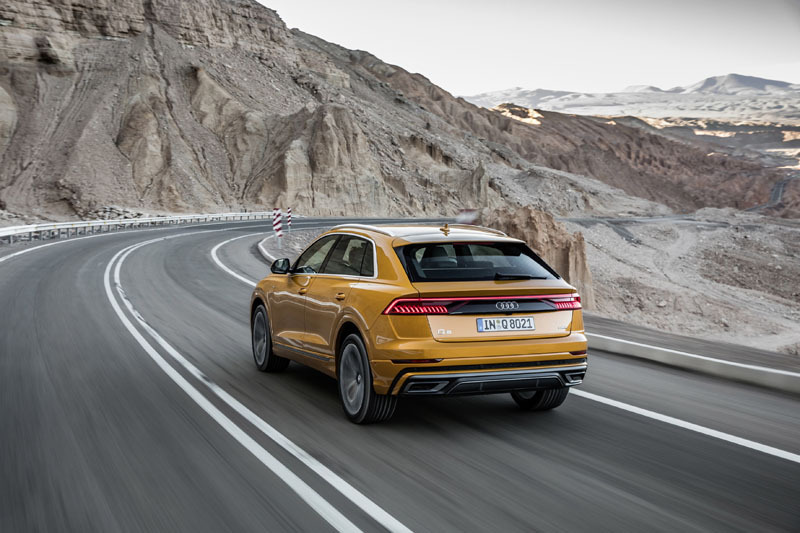 The only issue is the price and space difference between the Q7 and Q8, but if versatility isn’t your primary concern (it’s not that bad all things considered anyway), you have the budget, and you want to stand out, the new Audi Q8 is certainly a vehicle to consider.